Three Boy Circus: Roald Dahl Day 2014! I'm pretty late writing this post, but better late than never! 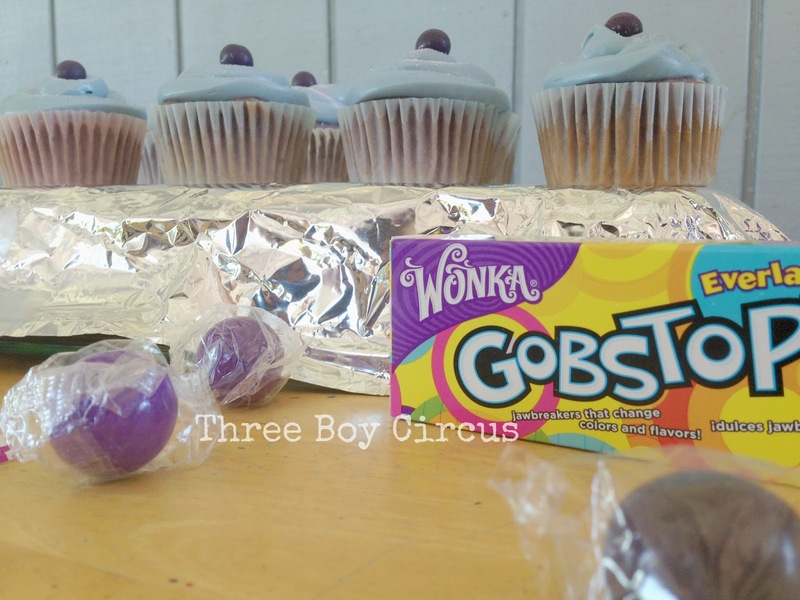 ;) We celebrated Roald Dahl Day 2014 by making purple cupcakes and reading Charlie and the Chocolate Factory. Roald Dahl has written lots of treasured children's books, but we have only read a couple. This year also marked the 50th anniversary of Charlie and the Chocolate Factory. 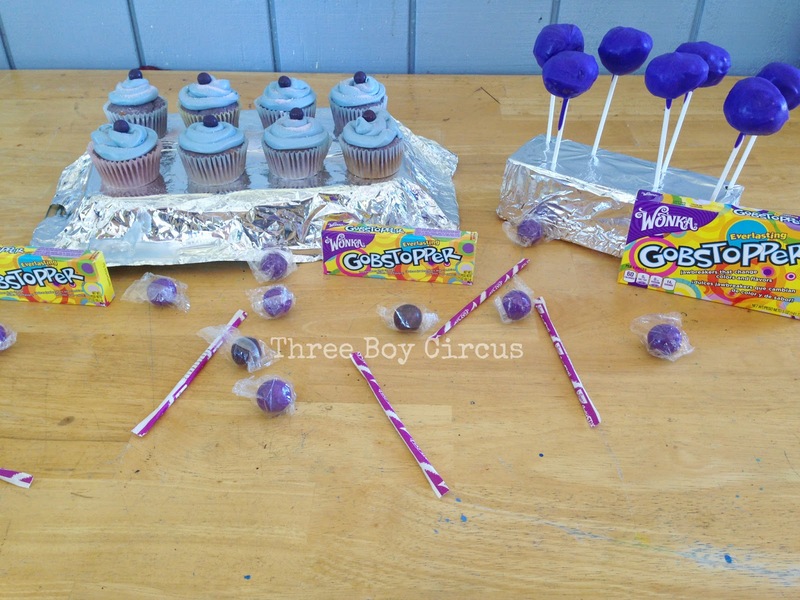 In honor of the anniversary of one of my favorite books, we make some purple cupcakes, complete with purple frosting and a jawbreaker! I wish I had written down the steps I took with this creation, but honestly, the cupcakes used a little of my failed attempt at a blackberry cupcake! There is a bright side to everything! I did attempt to make some cake pops as you can see, but they didn't turn out quite the way I wanted. In my defense, it was my very first time making cake pops. Tip: buy extra of the candy melts and be careful heating them. And if you add food coloring (like I did), keep in mind, it will make it thicker! Here's the cupcakes naked right out of the oven! 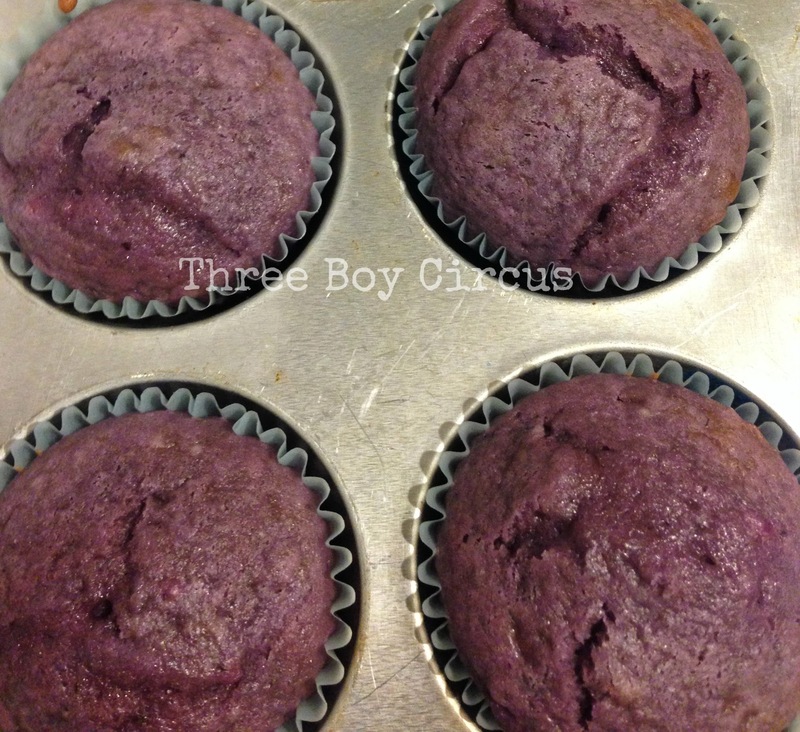 All I really did was use white cake box mix (Pillsbury) and then add a little purple food coloring (Wilton's). Like I mentioned above, I did add a little bit of the blackberry cupcake batter/frosting that didn't turn out. 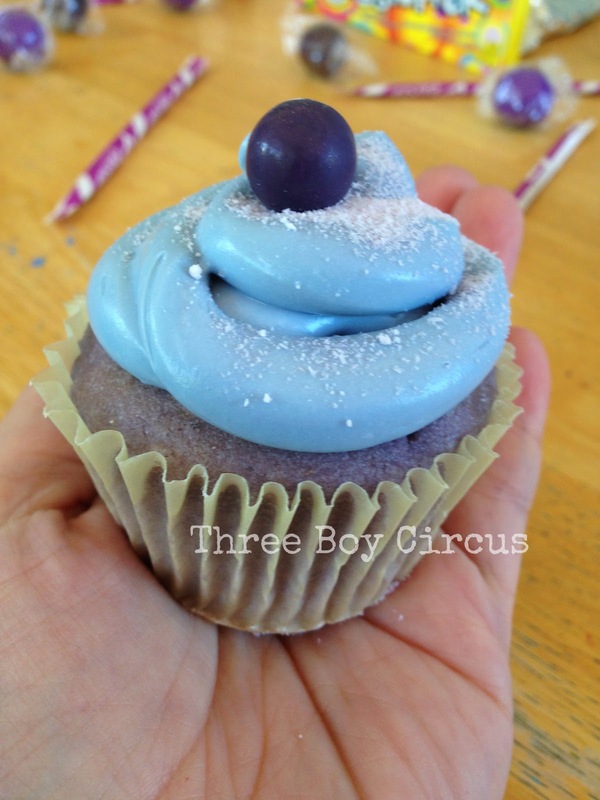 It made this cupcake extra moist, which I loved, and a little sweeter. Did you celebrate Roald Dahl Day with your kids? Or which Roald Dahl book is your favorite?